Skip the take out. 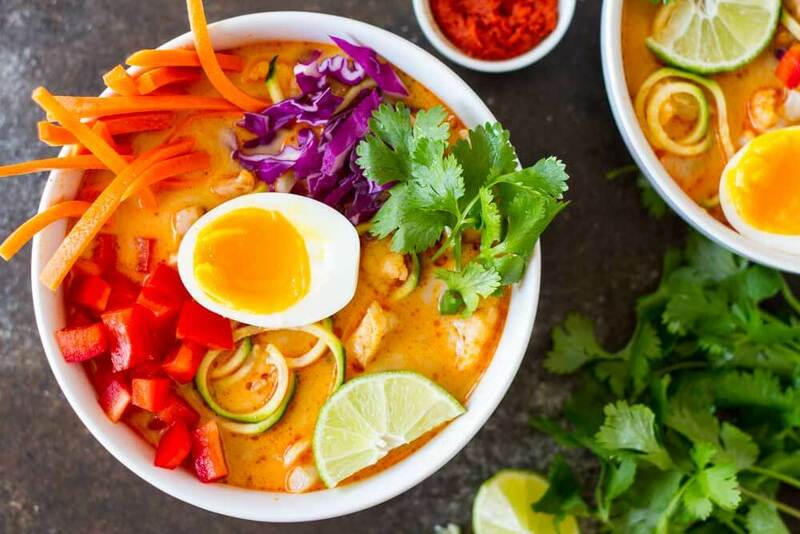 This colorful, fragrant, and flavorful Thai Red Curry Coconut Soup is so quick and easy, you’ll want to make it again and again. Super versatile. Add whatever veggies or protein make you happy. Happy fall, lovely people! As resistant as I am to say good bye to summer weather, I do love soup season. Soup is the easiest and fastest way to get all the veggies into your diet. And I’m all about getting those colorful vegetables in on the daily. Today I’m popping in to share a super simple Thai Red Curry Coconut Soup that I’ve been making almost weekly. 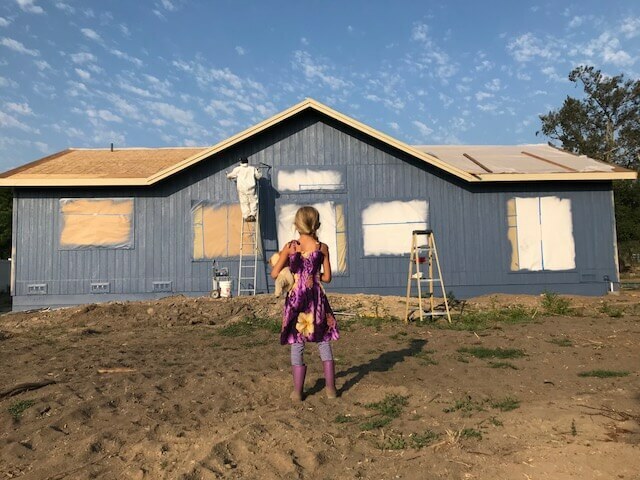 If you follow me on INSTAGRAM, you may already know that we are in the middle of building a new house from scratch, so needless to say, life has been a tad full. Getting meals on the table as quickly and easily as I can has been a huge priority. I love that I can just come home and throw this soup together in about 20 minutes. It’s even faster if I remember to prep my veggies in the morning before I start my work day. It’s creamy, it’s flavorful, and it really hits the spot. The mix of cooked and raw veggies gives a nice texture to the soup. Fresh cilantro and lime give it a fresh finish. Way better than take out Thai soup, if ya ask me. I’m obsessed with 6 minute eggs, so that’s what I like in my soup. Feel free to add any leftover chicken, shrimp, or fish that you like. Leftover rotisserie chicken works great for this. 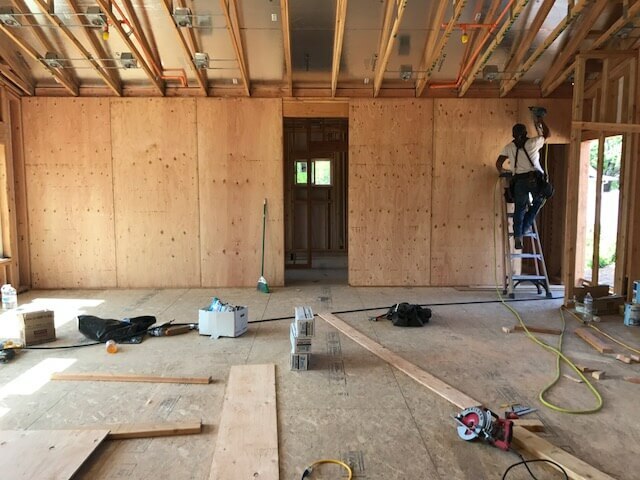 Before I share the recipe, want to see how the house is going? 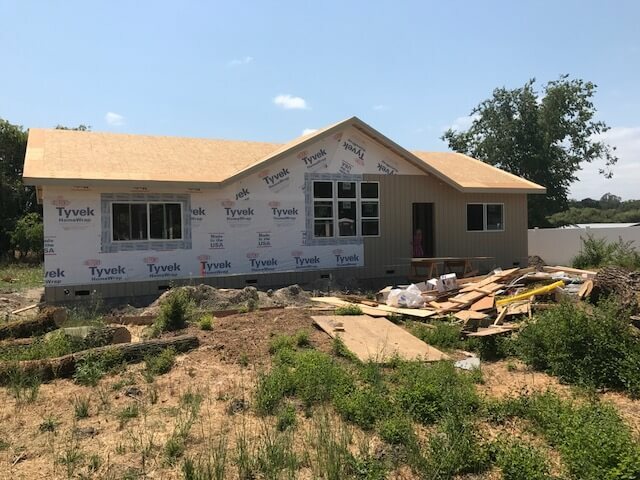 We are beyond excited and grateful to have this opportunity to build a house that we love and that is healthy for us to live in. 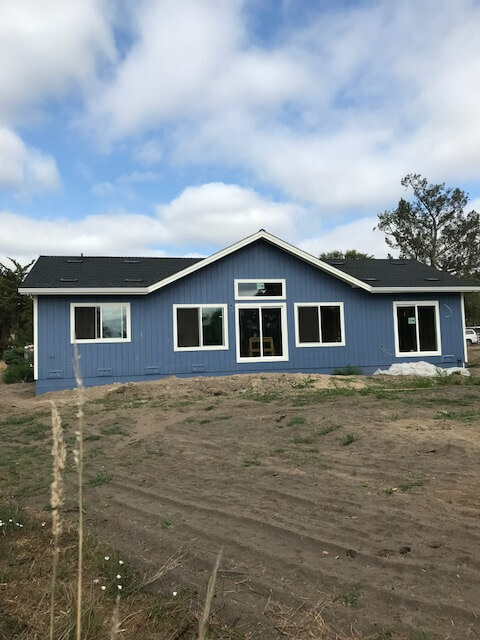 I have learned so much about healthy home building and will definitely share some of the things we did to create the healthiest home we can on our budget. 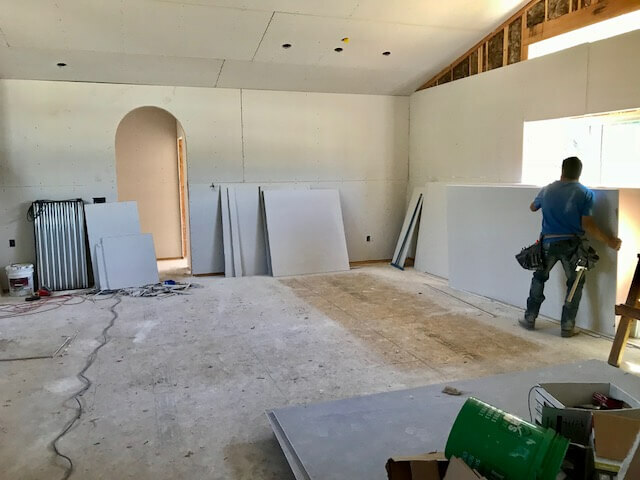 Sheetrock is up and the crew is mudding and tapping as we speak. The radiant heat floors go in later this week. Eeeeeeeeee!! OK… back to delicious soup. Here’s the recipe. You’ll notice that it’s sort of a soup meets salad kind of thing. Cooked cauliflower and zucchini noodles topped with crunch fresh carrots, red peppers and cabbage. 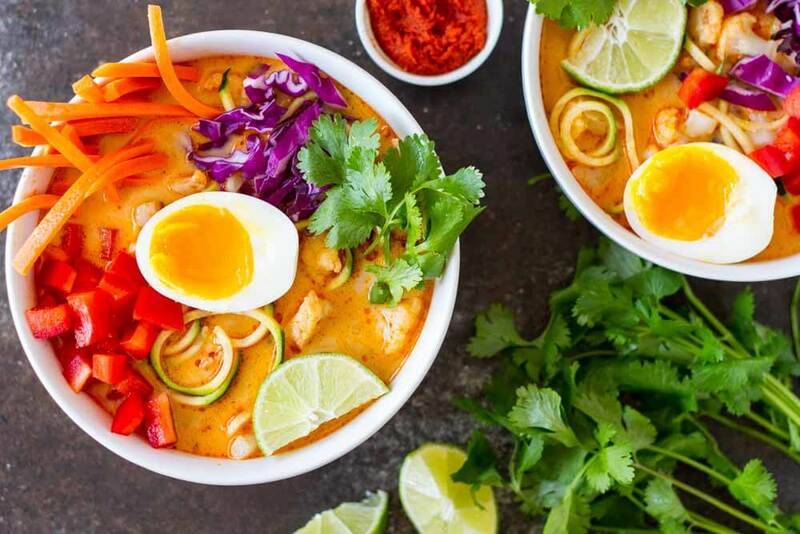 All swimming in a Thai red curry coconut broth. You can add any vegetables that you like. I think you are really going to love it. Enjoy! Soft boil eggs in a pot of boiling water OR in a steamer basket for 6 and half minutes. Immerse immediately in cold ice bath to stop the cooking process. Set aside. While eggs are cooking, chop and prepare your cauliflower, zucchini, red pepper, and cabbage. Melt 1 tablespoon of fat in a large soup pot over medium heat. Add 4 cups of cauliflower florets and saute for 3 minutes, until they begin to soften. Add garlic, ginger, and red curry paste. Cook for one more minute, stirring constantly, until fragrant. Add 3 cups of broth and bring to a boil. Lower heat, cover, and simmer until cauliflower is tender – about 4-5 minutes. Add zucchini noodles and allow to soften for a minute of two. Add coconut milk and lime juice. Turn off heat. Ladle soup into bowls and add julienned carrots, red pepper, and purple cabbage. Garnish with fresh cilantro and lime wedges. Top with the perfect soft boiled egg. I prefer soft boiled eggs with my red curry soup. Feel free to use chicken, shrimp, or fish if you like. Leftover rotisserie chicken works great. If preparing your protein fresh, simple pan fry it as you prep your veggies and add in at the end. If you don’t have a spiralizer, you can use a vegetable peeler to peel the zucchini into thin ribbons. Click HERE to PIN THIS! 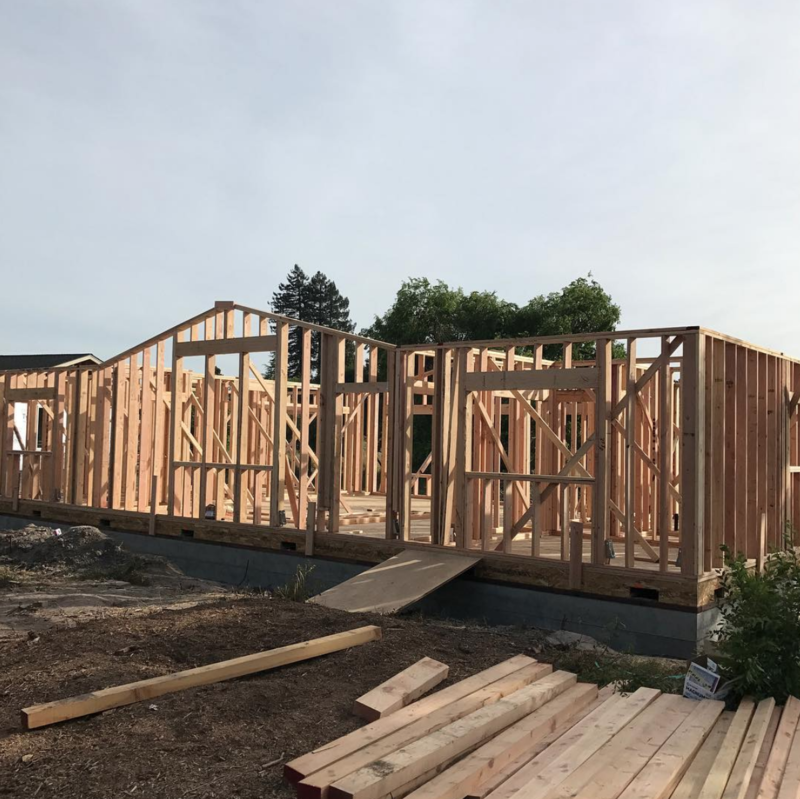 Can’t wait to hear more about your home building! It has been such a fun process. I will def share once it’s done. So exciting about your house!! 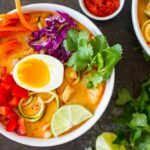 This soup looks easy enough for a quick lunch, must try since Thai soups are one of my favorites, especially with so much veg! Thanks, Tessa! And yes, this is such a quick and easy meal. I make a variation almost every week. Curry soup is ingenious. I want some NOW due to this cooler fall weather! Love that rainbow bowl! 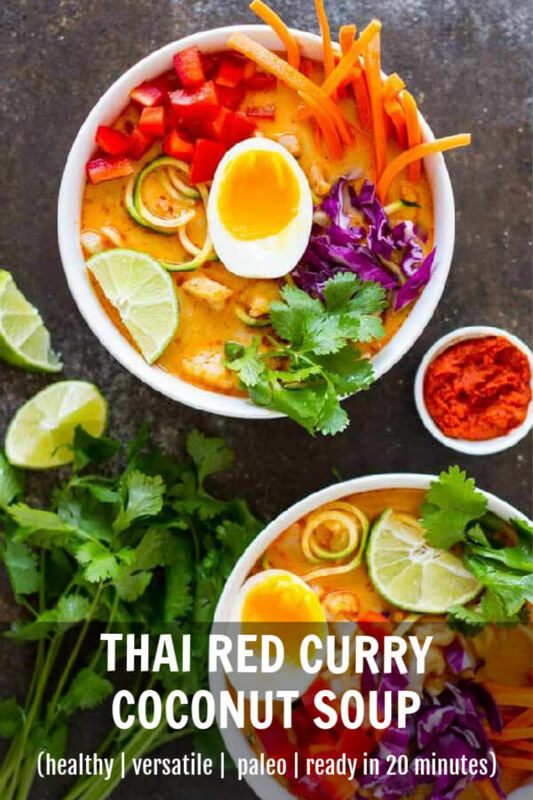 Thai curry is my absolute favorite so I know I’ll love this. And that soft boiled egg is everything. Thanks, Jean! And yes, the perfect soft boiled egg is EVERYTHING!! The house is gorgeous Katja! And this soup is so up my alley – I could eat this for breakfast lunch or dinner! I love that perfect yolky egg on top – YUM! Thanks, Renee! And me, too! I love soup for breakfast!! 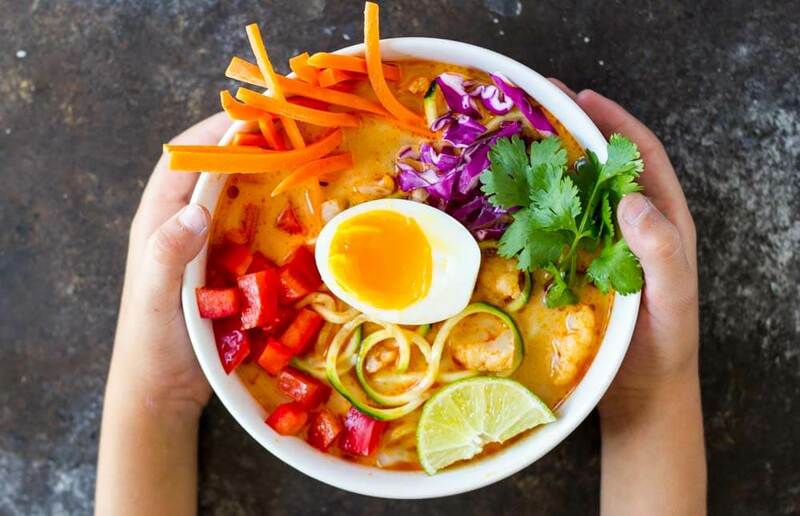 All the colors are so special, all the toppings … but that creamy broth alone has me transfixed! I can’t wait to make your beautiful recipe! Thanks, Megan! Yay for rainbow food!! There are so many awesome veggies in this mix! It’s so colourful, it spoke to me off the bat. 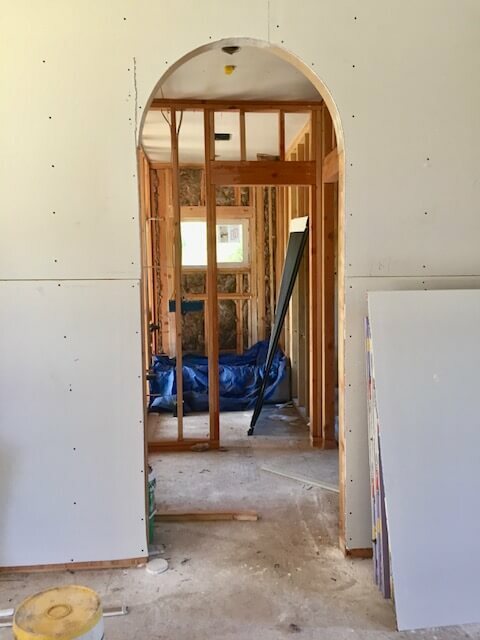 Can’t wait to see the finished results of your house, too. This is so good! Love the softboiled egg on there! Thanks, Stacey! I love me a good 6 minute egg! Love all the flavor in the recipe. So gorgeous too! 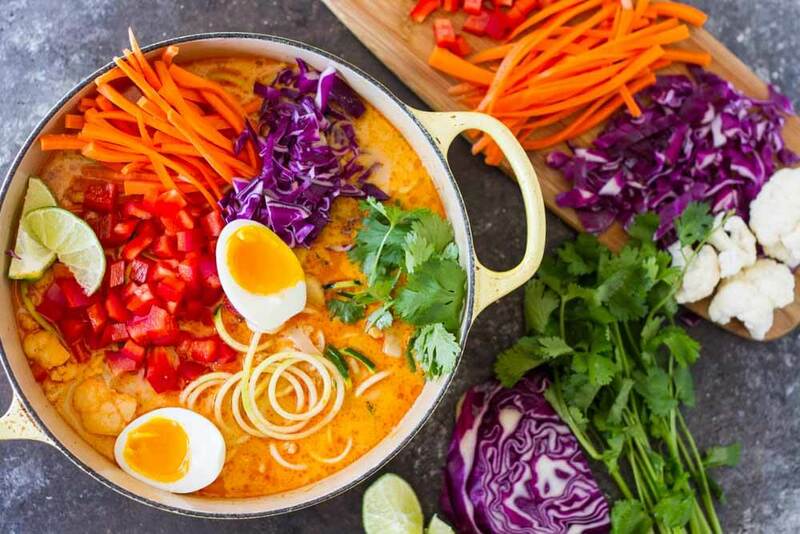 This soup looks incredible, and congrats on the home! 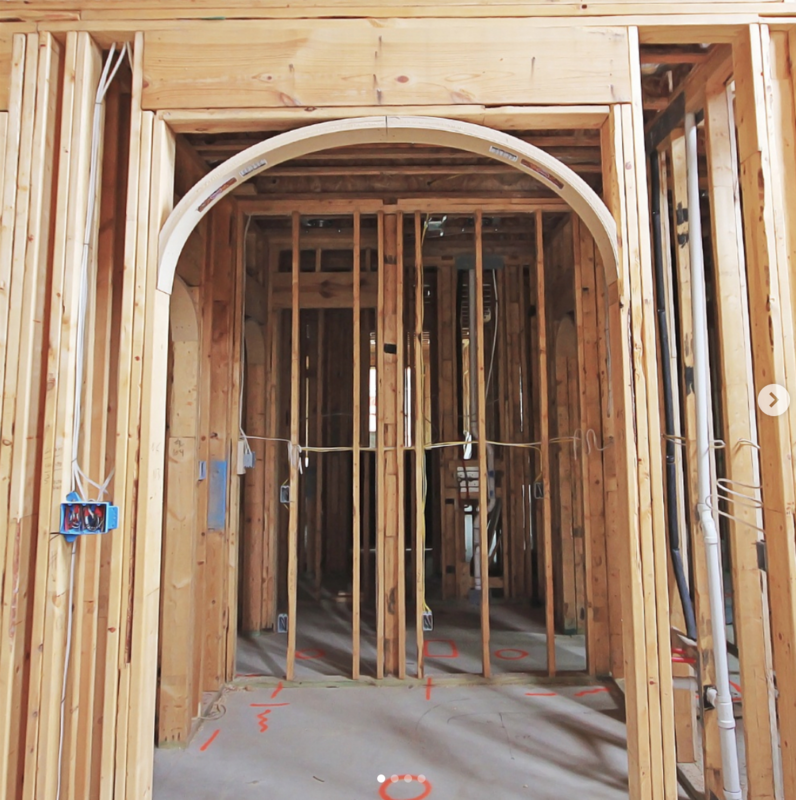 We’re looking into radiant heat right now, so I look forward to hearing more about your project! Thank, Kari! We just fired it up for the first time. It is SO nice and cozy. I’m looking forward to trying it out this winter. Great to hear about your house building project – but also pleased you still have time to rock this with the recipes!